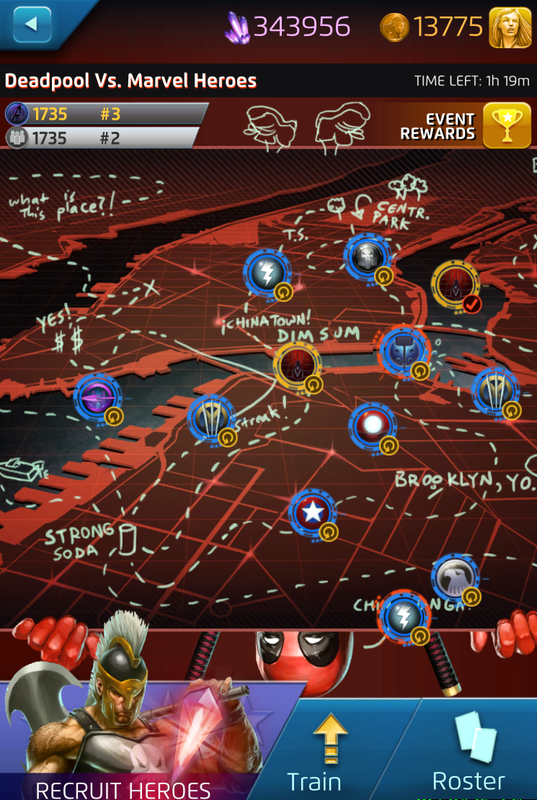 If you are a fan of puzzle games or a fan of Marvel Comics, you should be playing Marvel Puzzle Quest! Marvel Puzzle Quest is a fun, dynamic, engaging app you can play on a variety of devices that takes the concept of Match-3 gaming to another level. The play is simple but the variety of options are complex and multi-layered. As in most Match-3 games, you simply line up three or more like colors to create a match. The larger the match or the greater the number of matches creates a bigger effect, in this game damaging your opponent. The goal in any one particular round is to reduce your opponents characters to zero before they do the same to you. Part of the fun in this game is that you get to play with a variety of Marvel characters and as you earn Iso-8 crystals and gold coins, you have the chance to add even more characters to your collection, build them up, and mix and match the different skills and powers they have. To top it off, there are unique storyline arcs to compete in and a versus mode where you challenge other players for rankings all of which offer even more unique characters to play with. The game is so intriguing, I reached out to the folks who make the game to ask a few questions, and Joe Fletcher, Producer at D3Publisher was kind enough to give us some answers. I love the fact that this game, while offering in-app purchases does not require them to play or even to succeed so thank you for that, although I do have to admit to having purchased a fairly decent amount already! What led you to choose to make the game more accessible and competitive even for those who do not make in-app purchases? To put it pretty bluntly it boils down to the Golden Rule. We hate when we play otherwise fun games and feel forced to pay, so we make fun games that don’t force payments. We feel that with very little effort, In-App-Purchases can be outright evil in how they ask players to pay to continue. While we need to keep the lights on and our staff happy, which requires money, we’d much rather do that through having players that are finding enjoyment paying than players that feel they need to pay to have any chance of success. Your example is what we’re going for; You like the game, you like that you don’t have to pay, but you see that doing so can bring your gameplay even more value, so you drop us some cash. In your press release, you mentioned that this game introduces an “epic narrative” written by Frank Tieri and Alex Irvine. Does that mean there is a complete story as the basis for the game? Will there actually be a conclusion to the narrative? Most definitely. We’ve got a Story Bible for the Dark Reign portion of the game which follows pretty well the same beats as the comic rendition. Including a beginning, middle, and end. Recently we announced that we’re branching out from Dark Reign, but we still fully intend to end that portion of the story at some point. After all, just because Dark Reign concludes, that doesn’t mean there aren’t hundreds of other comic based and original stories we couldn’t tell. How did you come up with the characters you are currently using? Was there a certain reason some characters were currently excluded or included? For instance, Human Torch and Invisible Woman are characters in the game but not Mr. Fantastic or Thing. It really comes down to three things: Who people want to see, the stories we want to tell, and the rhythm of release. It’s important that we get characters people like out there, hence seeing some of the key Avengers show up as well as some fan favorites like She-Hulk. The story we want to tell is important as well, so if we continue down the Dark Reign road, it’s only natural to include characters like Ares or Sentry even though they’re not the most popular out there. Then we have to think about release timings for everyone. Sure, we could release every A-List hero and villain out there right away, but then after that, what’s next to look forward to? Personally, I tend to go with the Black Widow Original / Ares combo and if needing to pick three I’ll add in Moonstone, although lately I find myself using Black Widow Original / Magneto, Marvel Now! / Storm Classic. Is there a combination of characters that people at the office favor? Depends on the level that they’re playing at. We’ve got people that are pretty happy hanging around at the 2* region like you are and slowly building up 3* characters. Common choices there run to: Ares/Wolverine/Thor in one slot, Black Widow/Storm in another for utility, and a third character to round out color strengths and covering for abilities the others don’t have. It’s a pretty common sight in the 2* range of players to see very similar teams to what you’re running. 3* gets even more varied. We’ve got people building around Wolverine (Patch) and Magneto (Classic), others that build around Daken (Classic) and Sentry, and some that push out Hulk and Black Panther into the front lines. The metagame is constantly changing with new character introductions, so the answer here could be completely different in another month or so! What kinds of things will we see coming up in the future? What new characters or new situations can we look forward to? Wait a minute! Joe? Hello? Was that just a hint at what we might see coming up? Could we see Colossus of the X-Men and Dr. Strange featured in an upcoming storyline? Hello? Well, folks that’s about it. I’m as intrigued as the rest of you as to what characters we might see coming up in future storylines! 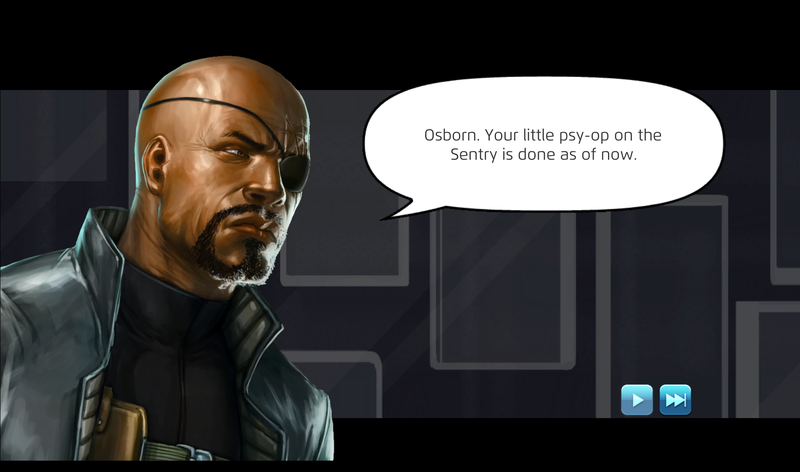 To those who haven’t played yet, go to your nearest app store and download Marvel Puzzle Quest. You’ll be glad you did! I gotta go. I need to build up my Wolverine (Patch) and Magneto (Classic)!